The North East′s provider of the official CON29DW Drainage and Water Enquiry. 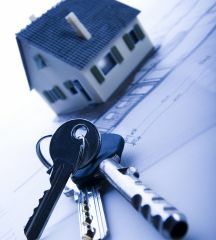 We offer a full range of conveyancing searches on a nationwide basis. Searches made easy with reliable and convenient online ordering for all your residential and commercial property searches nationwide. Mistake number 1: relying on local knowledge. 1 in 6 properties are at risk of flood in England and Wales. Drainage and water enquiriesEssential information regarding water and sewerage services for your property. Need an account?Register for an account to place orders for property searches online quickly and easily. Find out how our secure online ordering process works allowing you to order your searches in 30 seconds. Download a step by step guide to aid you through the ordering process. To order on the website you will require an account, to register use the ′Need an account′ link above or contact 0870 241 7408. This report may identify the requirement for a further flood risk report to be required. A mining report enables you to determine whether a property has been subject to a coal mining related subsidence. Groundsure’s Homebuyers report has been enhanced to keep transactions moving faster. As of January 2019, the Coal Authority has made a number of changes to their official CON29M Coal Mining Report. For all enquiries including Helpdesk / Sales and Training or Accounts - please call our team for assistance on - 0870 241 7408. Ground stability is as relevant as flooding or contaminated land to a home-buyer, and to their lenders and insurers.